Updated with the latest technology, machines, and controls in the industry, ELECTRIC MOTOR CONTROL, 10E delivers comprehensive coverage and practical insight for anyone who will install, monitor, and/or maintain motor controls. 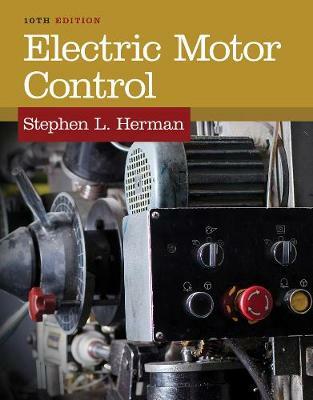 Extremely reader friendly, the book begins by introducing the simplest of equipment and then helps you build on your knowledge as you learn step by step how to draw and interpret motor control schematic diagrams. Subsequent units offer detailed coverage of motor control components and how they are connected to form complete control circuits. The book ends with troubleshooting techniques that provide real-world practice.